The porcine reproductive and respiratory syndrome virus (PRRSV) represents one of the most serious threats for the herd status and profitability of pig farms. For reduction of this risk the PRRSV CHECK ELISA symbolizes a new test generation for processing of sera and vaccines by its simple and convenient performance. The direct ELISA for quantification of PRRSV type 1 and 2 enable a diagnostic quality that achieves exceptional results in terms of specificity and sensitivity. The exceptional stability of the assay is reflected by the usage of a fixed cutoff enabling a userfriendly interpretation of data by means of the measured optical density values. 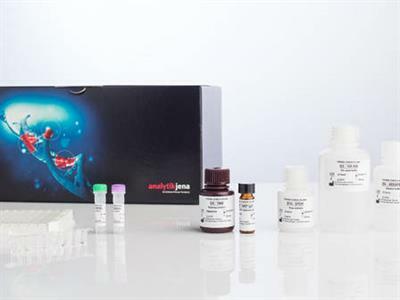 Furthermore, the latest ring trail, conducted by GD Animal Health, highlighted the special performance of the PRRSV Check ELISA compared to the gold standard demonstrating no need for any compromises. No reviews were found for PRRSV CHECK ELISA For Veterinary Diagnostics. Be the first to review!